Jungle Jax isn't exactly the weirdest of picks. He's not AP Nasus Mid or ADC Kennen by any means, but yet he's still tragically underplayed right now considering how powerful he is and how similar he plays to popular junglers like Kha'Zix, Rengar, and to some extent, Graves. Currently, the majority of junglers are largely damage based with Lee Sin, Graves, and Kha'Zix leading the pack. This means that as a jungler, Jax's role is largely already accounted for in the current meta and the team does not need to do any extra re-shuffling of champion picks to account for him. 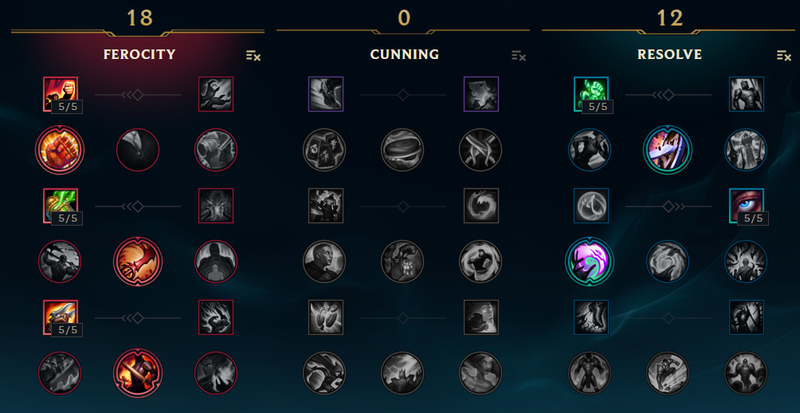 Despite being known primarily as a late game monstrosity, Jax's ganks early game are pretty good, especially if the enemy doesn't have flash up anymore. He's got a gap closer and a true stun, resulting in easy kills all around the map. If you look at the top three meta champions above, you'll notice that they're AD based-champions that are relatively squshy. This makes perfect prey for Jax early to mid-game when they have to rely on their auto-attacks to deal the bulk of their damage. Being able to duel early results in Jax reaching late game where he becomes unstoppable. Jax as a whole is a simply a matter of time, and once he gets to three items he can one shot squishies with ease followed up by a massive snowball through lifesteal through their entire team. Bloodrazor and Fervor of Battle greatly increase his late-game ability, but if he goes Warrior Enchant + Thunderlord's, it can also improve his early to mid-game dueling as well. Against champions that refuse to fight like Ivern and even worse, Nunu, Jax suffers from being unable to properly use his counterstrike to its full effect. This causes him to suffer greatly early to mid game, resulting in a very delayed late game Jax. Jax's first clear depends greatly on the leash he gets. 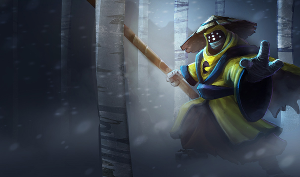 Although counterstrike limits the damage he takes from jungle camps, without some form of sustain he can fall behind if he tries an early gank and fails, or becomes involved in some sort of jungle invade skirmish. Jax Jungle is a champion role with a few easy counters, but in the current meta (and in solo queue), he does very well against meta champions and can get away with quite a bit in his current state. After being one-shot by Jax jungle a few times in a the past week, I can certainly say that he's a very potent, and very underplayed jungler right now. What do you think about Jax Jungle? Comment below!